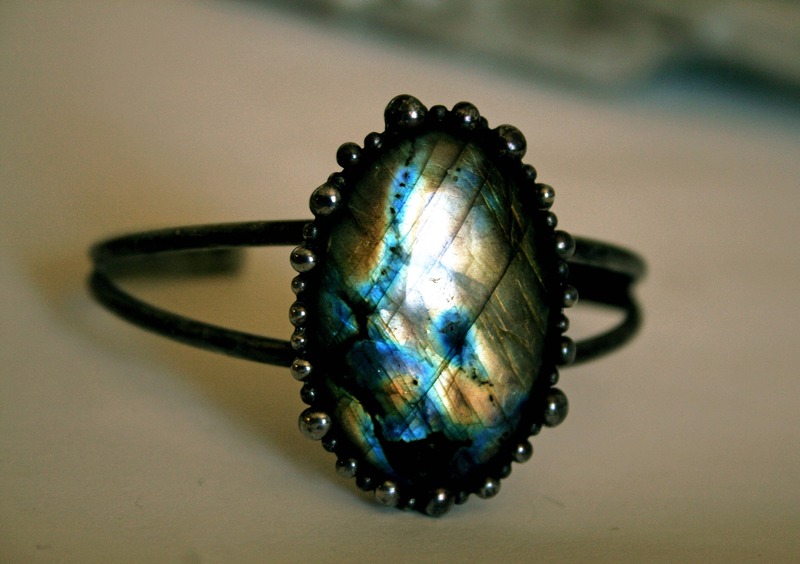 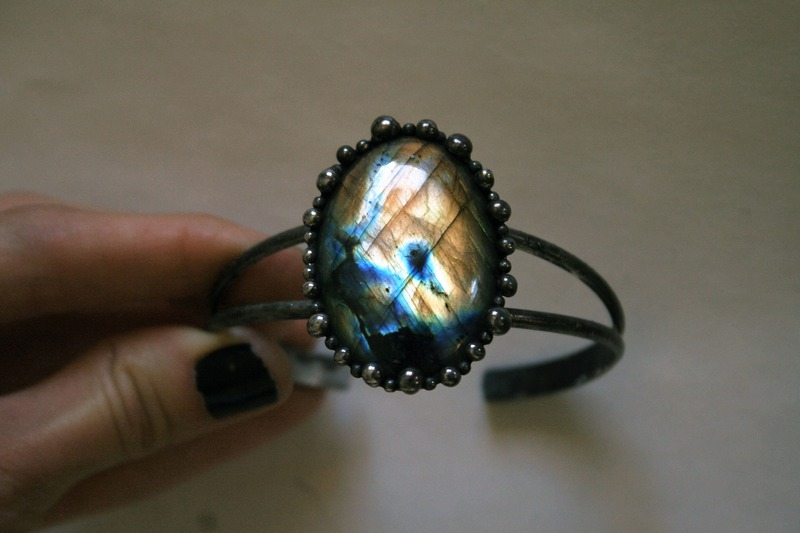 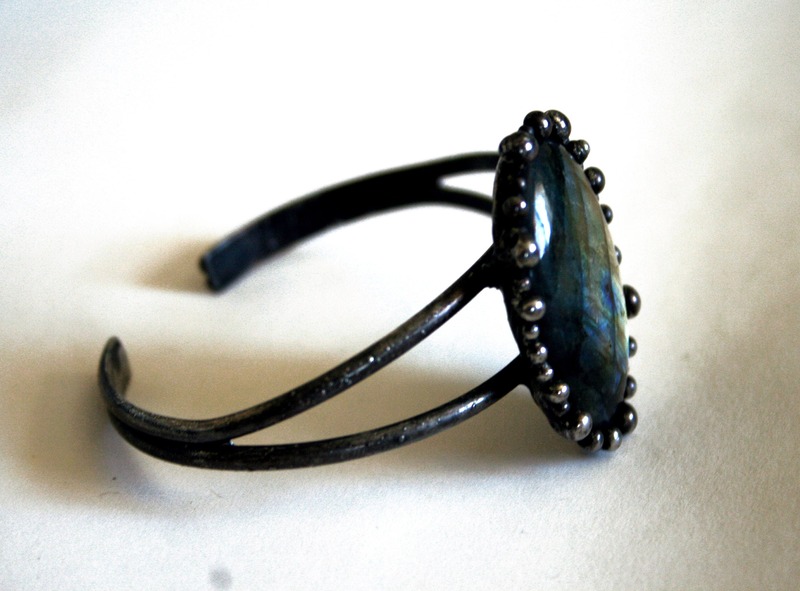 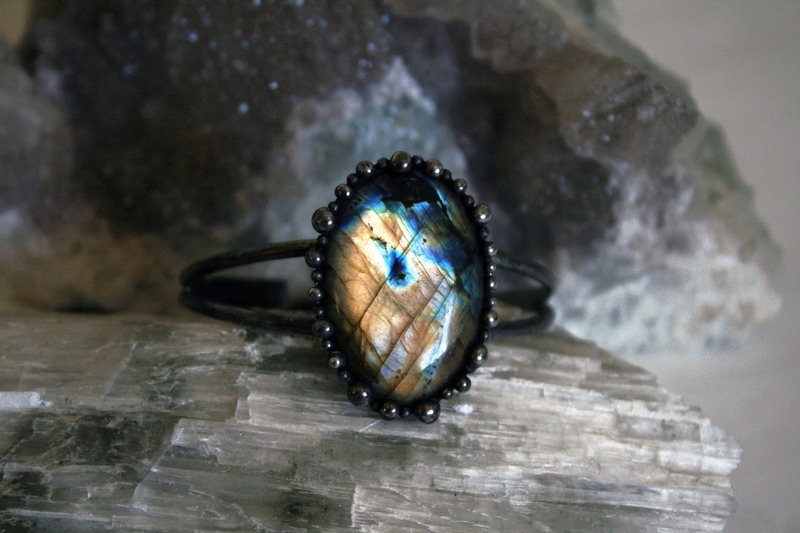 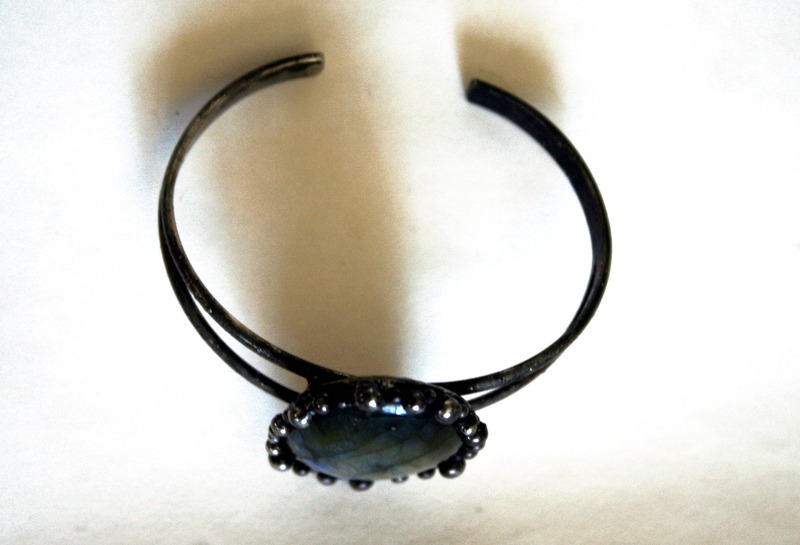 One bracelet, featuring a large labradorite stone, in a handmade artistic sculptural solder setting, on an adjustable cuff. 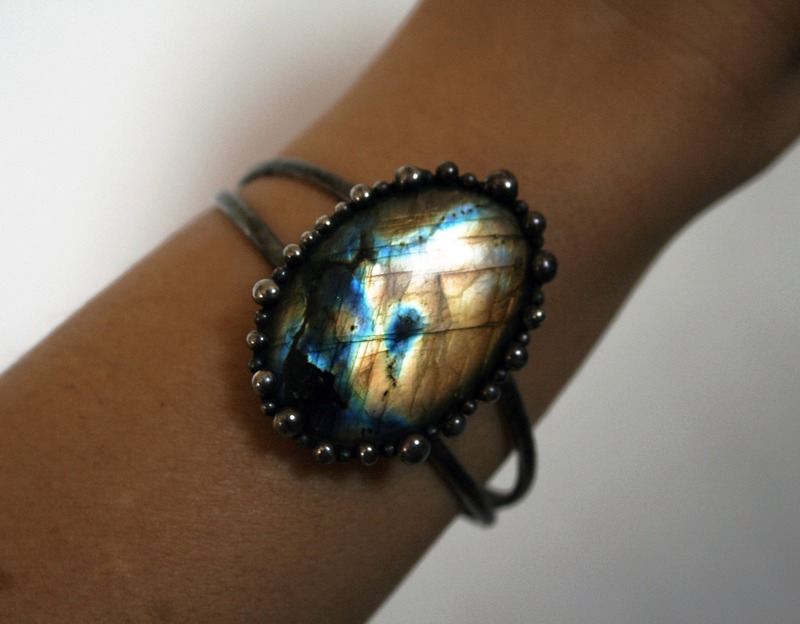 Cuff is very adjustable and fits most common wrists 6.5" - 8" and may be able to accommodate other sizes as well. 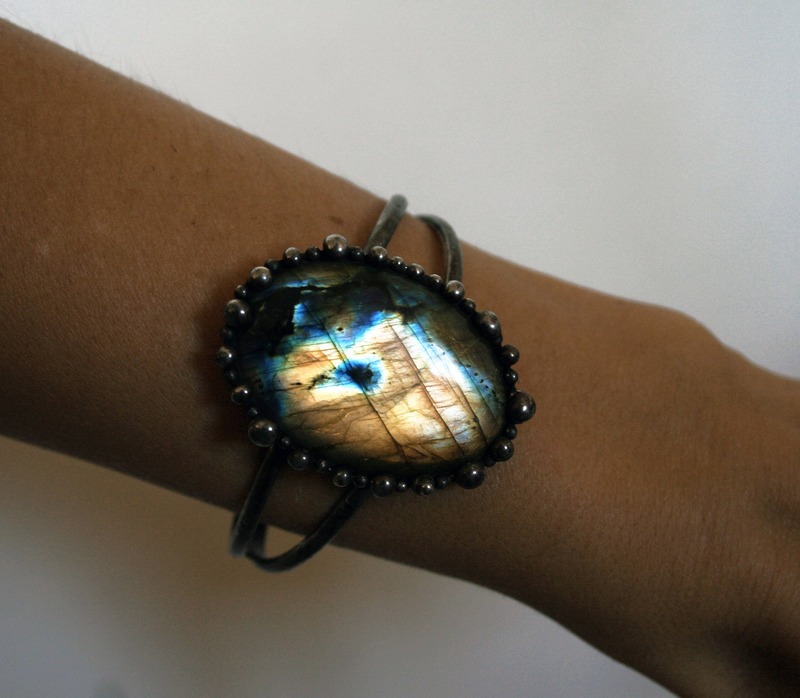 Model has a 6.5" wrist.